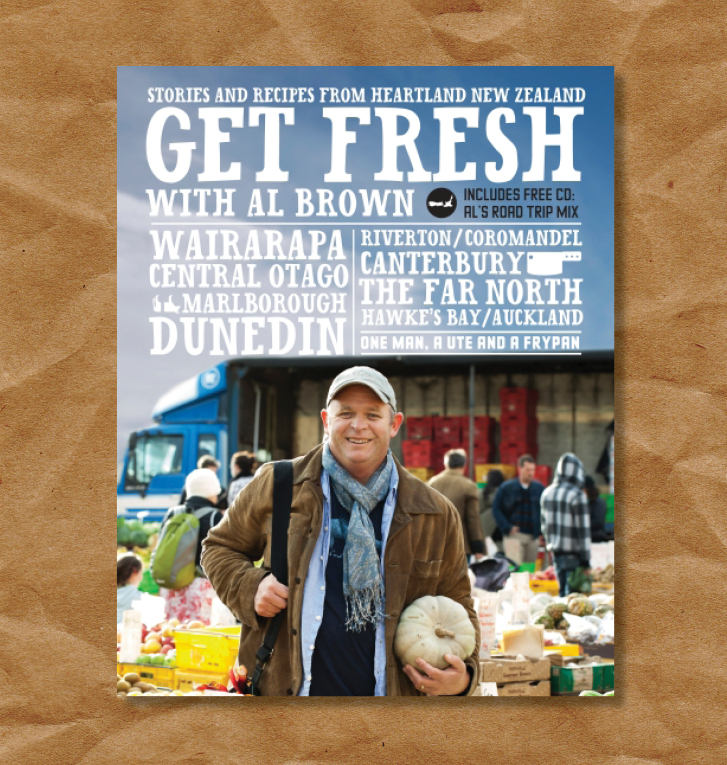 In 2012 Al brown published his 3rd solo book, Get Fresh. Based on the TV show of the same name, the book enabled Al to go deeper on each region and provider. With profiles on a number of talented growers and suppliers, the book also carries 3 recipes per region and also comes with a CD of music by up-and-coming New Zealand artists. Gas worked with Al from day one on the design and relished another opportunity to work with images from the talented Peter Young from Fisheye Films and Kieran Scott from, well, Kieran Scott. Get it while it’s fresh. You are currently reading Get Fresh at the gas project.